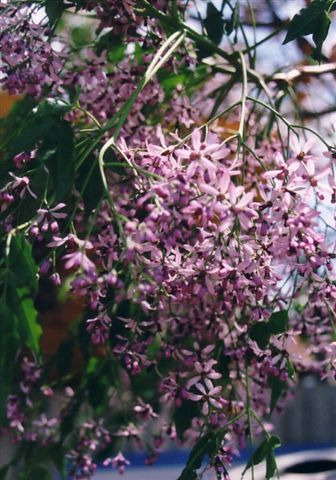 Beautiful umbrella shaped tree with deep green leaves and lilac-purple scented flowers in summer. Usually winter deciduous. Responds to water in dry periods (for faster growth). Suitable for large gardens. Seed pods are poisonous to farm animals and children! Grows inland in Australia , tropical, subtropical and coastal. Can be grown in a container indoors or patio.